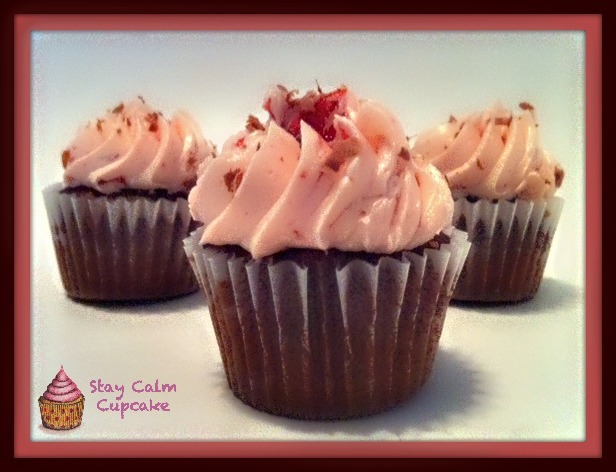 Cherry Passion Fruit Frosting | Stay Calm, Have A Cupcake! Happy Monday! Is everyone surviving so far? Ok good! Today I want to talk frosting! Creamy, sweet, slightly tart, perfectly whipped, frosting! I’ve been playing around with a lot of new flavors lately and have absolutely fallen in love with the tartness of a fresh cherry complimenting the sweetness of a chocolate cupcake. I decided to add some passion fruit to the mixture, and I am happy to tell you, it is hands down one of the best frostings I have ever made! I used a concentrate from “The Perfect Puree of Napa Valley” and was so happy with how well the passion fruit flavor came through in my frosting. The Perfect Puree of Napa Valley, a company based in California, specializes in all natural fruit and vegetable purees, concentrates, and drink mixes. Through a partnership with CraveLocal, I was able to get some samples from Perfect Puree and was more than pleased with each one of them! I received Blood Orange, Carmelized Pineapple, White Peach, and Passion Fruit. Each delicious concentrate is just waiting for me to use it in a new recipes! My favorite thing about the concentrate is that I only have to use a small amount, so it doesn’t ruin my frosting consistency at all. I also love knowing that these are all natural ingredients. Nothing better than 100% natural flavor for your cupcakes! This Cherry Passion Fruit Frosting is perfect for summer and reminds me why I love to use fresh, seasonal ingredients when I bake. I think you’ll find that it adds just the right about of “pazzaz” to take your next summer dessert to the next level. 15-20 fresh cherries. The darker, the better. Do not use frozen! In a medium sized sauce pan, combine your cherries, cranberry juice, and sugar. Cook your cherry mixture on medium heat for 5-7 minutes. Make sure you are stirring and “mashing” your cherries so the juice comes out. While your cherry mixture is cooling, cream your butter in a mixer on medium high-speed for 1-2 minutes. Once your butter is light and fluffy, add the powdered sugar 1 cup at a time, mixing well between each addition. This frosting is delicious on dark chocolate cupcakes, vanilla cupcakes, and believe it or not, coconut cupcakes! Enjoy the recipe and let me know if you have any questions about using The Perfect Puree of Napa Valley. Have a great week! 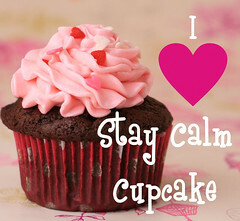 Stay Sweet!